The Ukraine crisis has its roots in the breakup of the Soviet Union more than two decades ago. 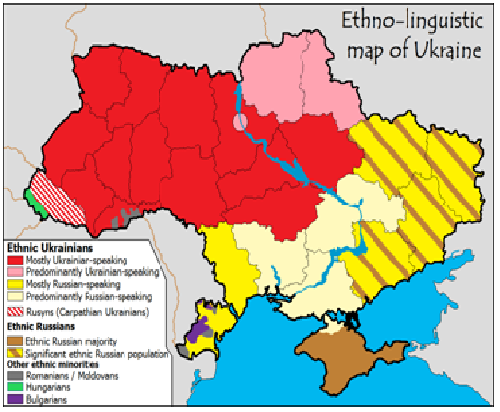 A country of deep ethnic and cultural divisions, it comprises a more ethnic Russian population in the East and a more ethnic Ukrainian population in the West, including Kiev, the capital. Months of increasingly violent political protests in Kiev over the government’s reluctance to expanded relations with the European Union culminated in a February 21 agreement that called for constitutional changes and new elections. This eventually culminated with the ousting of the then-President of Ukraine, Viktor Yanukovych. Because of the economic problems that Ukraine was facing, Yanukovych had sought to establish closer relations with the European Union (EU) and Russia in order to attract the capital necessary to maintain Ukraine’s standard of living without affecting the local population significantly. But he eventually refused to sign this agreement with EU considering it too austere and detrimental to Ukraine, and instead signed a treaty with Russia which sparked off violent protests. 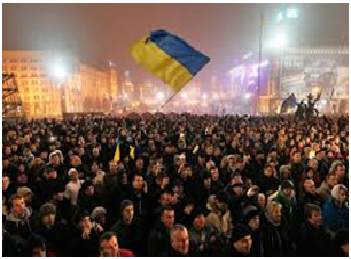 On February 21, when the president fled Kiev, agreed a deal to restore the 2004 constitution and reduce the president’s powers was signed by Mr Yanukovych and opposition leaders as well as by three EU foreign ministers. This was however not signed by the Russian official present. Moscow responded by sending forces into Ukraine’s formerly Russian region of Crimea, which is home to Russia’s Black Sea fleet. Putin claimed ethnic Russians in Crimea faced oppression and needed Moscow’s protection, a scenario rejected as false by Washington and its European allies. Despite global resistance and objection, Russia eventually arranged for a referendum for independence of Crimea from Ukraine, which passed easily. In 1997 Russia had signed agreement clearly recognizing the borders of Ukraine. The 1997 agreement, extended for an additional 25 years in 2010, authorises the presence of Russian ships in Crimean harbours, along with the presence of a large military infrastructure, including training grounds, artillery ranges and other installations. However, major movements of Russian forces require consultation with the Ukrainian authorities and the agreed force levels cannot be increased unilaterally. But contrary to these obligations, Russia has augmented its forces in Crimea without the consent the Ukraine. It has deployed them outside of the agreed bases, taking control over key installations, such as airports, and encircling Ukrainian units. This raises the legal question of whether the acts of Russia can be determined as acts of Aggression or as an International Armed Conflict. Further, there arises the question of right of self-defense by Ukraine whose sovereignty has been infringed. According to a UN definition of 1974, the use of foreign armed forces on the territory of a state in contravention of the agreement governing that presence amounts to aggression. Still, under present conditions an “armed attack”, which is the trigger point in the UN Charter for the application of the right to self-defence, has probably not yet occurred. Previous ArticleCyber Stalking: Know It, Report It, Stop It!